so then i got it home, put it together to see what i had. 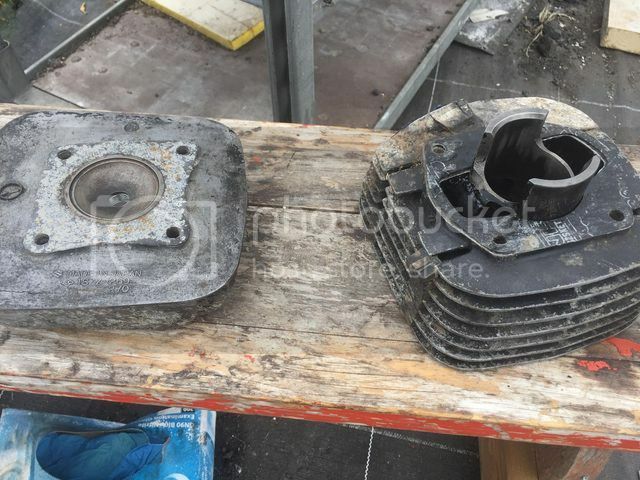 then pulled the engine apart just to see what a two stroke engine looks like inside and identify everything. 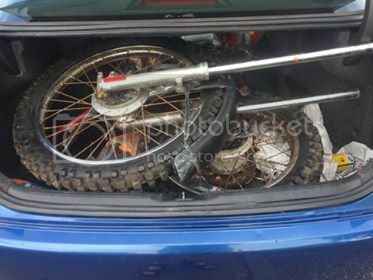 so the frame is a ts100erz, im unsure if these were sold in america but in europe they were a version of the ts100 with the full floater suspension and a very different looking frame, its also had a centre stand modified to match up to some unused frame bolts in the bottom. the actual bike itself has had the seat/plastics/ road going electrics removed. 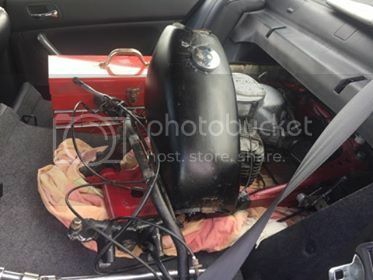 it has also had a new wiring loom that someone has put a fair bit of time into rewiring with a carefully labelled section under the seat for all the junctions and wires. 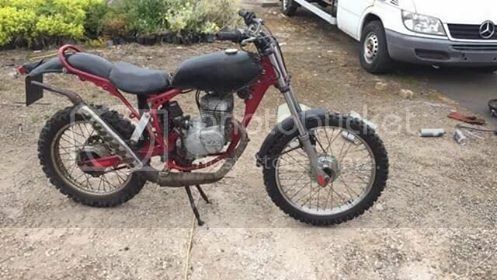 looks kind of like its been converted to a trials bike type thing. 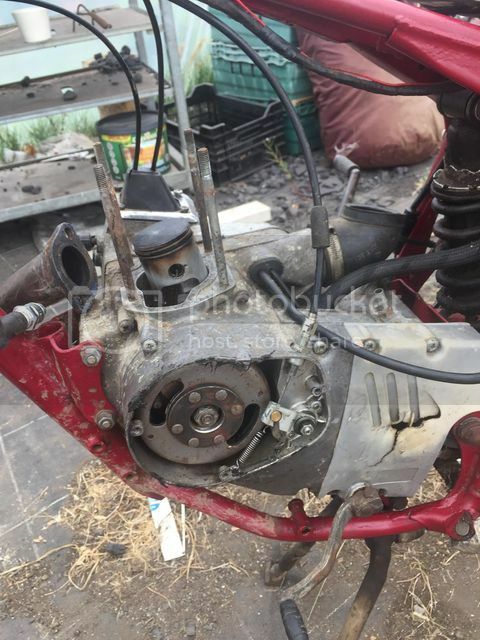 the engine is from a gp100 and seems to have been a direct bolt in, not sure what the differences between the engines are as despite the different side cases and slightly larger carb, the part numbers for the internals/ignition timing and valve timing are all the same as on the ts100 engine. gp100 engines are much more plentiful over here than ts engines so maybe a replacement for damaged engine in the past. so mechanically everything seems okay, getting just over 120psi compression which according to the service manuals ive found online is okay. i also set the points and ignition timing. fuel is getting to the engine, power is getting to the coil, but im not getting a spark even with a new plug, so i got a new coil, popped it in and the spark tester gave a nice bright flash, but only once. since then its not lighting up unless i pull it off the plug and press the terminal to the head, i also cant get the plug to spark when ground out on the head. any ideas?